Singapore has ironically been named a hotbed for pirating copyrighted programming by companies such as the National Basketball Association, the English Premier League, HBO and Walt Disney, according to Bloomberg Businessweek. The Coalition Against Piracy which comprises 21 members including divisions of Twenty-First Century Fox and Sony Corporation, is calling for the Singapore government to block pirating software inside set-top boxes. 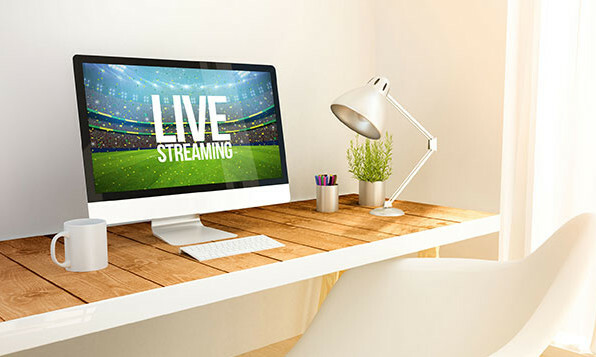 The set-top boxes enable the unauthorised streaming of TV shows, movies and live sporting events, and can be found online at e-commerce sites such as Lazada and at local electronic stores. Quoting Neil Gane, GM of Coalition Against Piracy, Bloomberg Businessweek reported that Singapore is “the worst” among Asia Pacific countries when it comes to the availability of illicit streaming devices, and that Singaporeans have access to “hundreds” of illegal broadcasts of channels and video-on-demand content. According to a study by research company Sycamore released in September 2017, 39% of the 1,000 Singaporeans surveyed indicated they currently illegally stream or download movies, TV shows or live sports channels. Also, 14% of them admit to using an illicit streaming device. This is despite the fact that 68% of those surveyed recognise that pirating copyrighted programming is stealing or theft. Sycamore’s study stated that 63% of respondents were motivated by the desire to access content for free, hence their decision to pirate. Shavkat Berdiev, VP and GM, Discovery, Southeast Asia, described the ubiquity of piracy in Singapore as a worrying trend, adding that it undermines the whole chain of the media and content industry. “We need to tackle piracy at its root cause; this involves a concerted effort between the government, law enforcement agencies and private enterprises to actively educate consumers on what behavior is illegal and unacceptable, to enforce the rights on content owners as a form of deterrence, and to offer alternative legitimate channels to consumers,” Berdiev added. In a separate conversation with Marketing, Berdiev said that Discovery is working closely with the Info-communications Media Development Authority to support efforts of industry players to raise awareness and enforcement of intellectual property rights. He added that Discovery views piracy as a major impediment that undermines the development of the media and entertainment industry. “Online piracy remains a scourge for the media industry across the world, and in Singapore it is no different. On one hand, it will take better enforcement and public education. On the other hand, content creators need to band together to tap into all avenues and platforms of legally sharing what they create with audiences,” he said. To combat the problem of online piracy, Discovery is collaborating with industry associations and affiliate partners to proactively identify a list of rogue sites. It is also working with online and offline vendors to prevent the sale of illicit streaming devices. Clara Cheo, CEO, Golden Village, Singapore, also said that more effort should be made to educate the young that a single act of piracy and illicit download has severe repercussions to the livelihood of many creative and technical professionals in the movie industry. Also weighing in on the conversation is Howie Lau, CMO from cable TV provider StarHub, who said that piracy and illicit streaming devices present a serious threat to the creative industry as it amounts to theft. “The increase in piracy in Singapore is alarming and runs counter to Singapore’s ambitions to be a Smart Nation. StarHub respects intellectual property rights and we will continue to work closely with our content and government partners to uphold legal rights,” Lau added. Marketing has reached out to IMDA for a statement as well. Macaron maestros Toni Younes doesn’t believe in advertising, but instead credits sponsorship and friend referrals as key business .. The channel aims to turn the agency’s insights and strategy into content so that it will “be more in tune with the local culture.”..